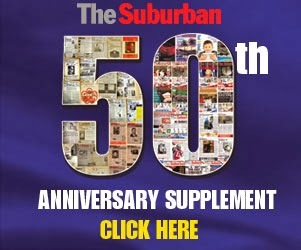 The Suburban.com - The Suburban - Mike Cohen: TSN Radio 990 on life support - what a terrible shame! TSN Radio 990 on life support - what a terrible shame! A few weeks ago I had lunch with TSN Radio 990 General Manager Wayne Bews and Canadiens play by play man John Bartlett. I shared with Wayne some information a good source had shared with me: that Bell Media, the parent owners of TSN Radio 990, was seriously considering a switch in formats from English to French in terms of its local all-sports property in order to comply with CRTC regulations. Bews claimed this was the first he had heard of such a thing and pretty much dismissed such speculation. I decided not to run with it, certainly hoping that such a thing could never come true. From the time the station first went on the air over 11 years ago as THE TEAM 990 and then switched to TSN Radio 990 last summer - to go along with their acquisition of Montreal Canadiens broadcast rights - I have been an avid listener of the station. And why not? This was any sports fan's dream - jock talk 24/7. This was a vintage year for the station, which is on the verge of becoming TSN Radio 690 in order to to get a better signal out there. While the Habs had a lousy season on the ice, it was certainly not without a lot of controversy and that made for great radio. The station's coverage of the Habs was outstanding. When Bell Media announced a few months ago that it was purchasing all of Astral Radio, a problem surfaced in Montreal. The dreaded CRTC does not permit any one company to operate four stations of the same language in the same market. They do allow exceptions on occasion and this seemed to be a good candidate for that. But no, the CRTC delivered a slap to the face of all anglos when it declined the request. Suddenly Bell Media had a choice to make. It could not keep TSN Radio 990, CJAD, CHOM and Virgin Radio. I would have thought that CHOM would have been put up for sale, but in a shocking decision Bell Media announced that it has applied to the CRTC to convert TSN Radio 990 in Montreal to a francophone station, RDS 990 - soon to be RDS 690. So now we sit and wait. TSN Radio 990 is like a dying patient on life support. We have no idea how long it will survive. Unless the CRTC shows some spine and turns down this application(remember, Bell Media asked for the switch to 690 to improve its reach to anglo Quebec), TSN Radio could depart us in early 2013. What an absolute shame! Throughout the day I have been bombarded with phone calls and emails from irate listeners. The Bureau of Broadcast Measurement (BBM) ratings may not fully show this, but TSN Radio has a cult following among avid sports fans in this city - English and French. The morning show just added Ted Bird to the team of Elliott Price and Shaun Starr. This program is hilarious and full of information. What can one say about Tony Marinaro? He is, in my opinion, the star sports talk show host in the city. Provocative and knowledgeable, hockey fans hang on his every word during the season. He is consistently breaking stories and never backs off from telling the story like it is. CTV's Randy Tieman always loved radio and it shows. His Intermission hour with Marinaro is full of pep and his afternoon program always features great guests. Mitch Melnick is already a legend in this town. His four hour drive home show is not just about sports, but life in this city. He has got a style that cannot be replicated by anyone. A diversified array of talent, from Dave Kaufman to Matthew Ross and Noel Butler dot the evening and weekend schedules. So what happens to all of these people? The next six months will no doubt be audition time, with CJAD/CHOM/Virgin GM Martin Spalding playing the role of casting director. 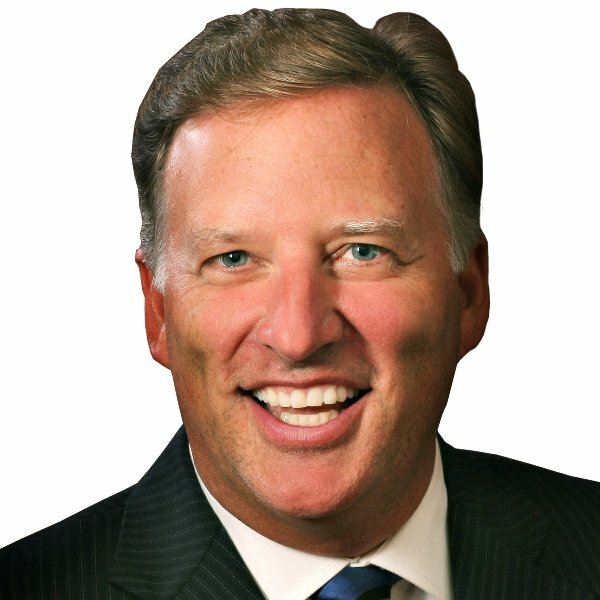 Rick Moffat: Return to Habs? You can pretty well bet on Bird being reunited with Terry DiMonte on the CHOM morning show--- but please make them a trio with the wonderful Heather B. Melnick has had two previous incarnations with CJAD and I cannot imagine them not finding a spot for him. Marinaro is perfectly bilingual. If CJAD does not grab him, he could more than hold his own on RDS Radio 690. Does Rick Moffat resume play by play duties when the Habs return to CJAD or can he and Bartlett partner on the broadcasts? Adding Noel Butler to the Impact broadcasts also should be automatic. Elliott Price is also a former CJAD man. Starr has developed into a "star. Tieman adds experience and likability. Spalding will no doubt be huddling with his CJAD program director Chris Bury in the coming months. For sports fans, the best compromise we can hope for is CJAD signifcantly boosting its sports content. If it does not, AM 600 -the new anglo station owned by Paul Tietolman and friends - will be ready for start up possibly by next spring. They certainly would be in the market for many of the personalities being cut loose by TSN Radio 990. 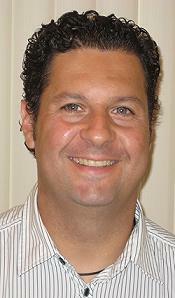 Steve Kowch, the former program boss at CJAD, is moving back to Montreal this summer to oversee the operation. Tietolman already received CRTC approval to begin airing a French talk radio station at AM 940. As for AM 600, it is just a matter of time before it gets the final green light. 1- Couldn't stand Melnick's subtle disdain towards the francophones. 2- Bad shows. Really bad. Especially the morning show. There was one exception: Tony Marinaro. I really enjoyed his show. Hope he stays with RDS 690, he's a real talent. BTW, those idiots at CKAC 730 were even worst: Morissette, Langevin, Gregoire... simply unlistenable ! No wonder they all have such bad ratings. I switched to Sirius/XM a year ago and i'm as happy as can be. It has been Bell's intention since Day One to open a French language sports station under their RDS banner. They knew ages ago that they were going to take over the Astral operation. They knew that CRTC would not provide them with an exemption. They really didn't need it anyway. They put on a dog and pony show in front of CRTC at hearings last fall telling them that they absolutely had to have 990 move to 690 to be able to serve their English language audience in the west end of the city who could not adequately hear them at night. The TSN 990 station, with the Canadiens, plus a new, clear frequency would be able to survive far into the future with the move to 690, being able to take on more advertising with the better signal. The CRTC bought it and Bell got the historically French frequency of 690 kHz. It was just a matter of time until they broke the news of RDS 690. What they didn't anticipate was the CRTC considering this to be a brand new station and that it would require a hearing process at the CRTC. In fact, everyone else who applied for 690 kHz last fall could theoretically do so again! The CRTC does not like being used. This is far, far from over. I don't see a problem with the CRTC anti-monopoly rule against owning more than three stations in the same language in the same market. The problem lies with Bell trying to own EVERYTHING. People need to stop with the Bell paranoia. Videotron and Rogers are much worst when it comes to this type of play.